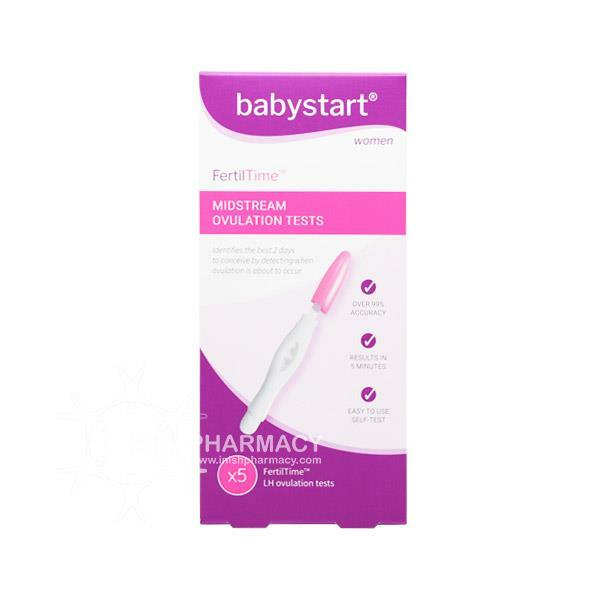 Babystart FertilTime Midstream Ovulation tests helps identify the best 2 days to conceive. This test works by detecting when ovulation is about to occur by detecting levels of Luteinising Hormone in the urine. This midstream test is 99% accurate and shows results within 5 minutes. It is important to know your fertile days when trying to conceive to help give you the best chance at conceiving.